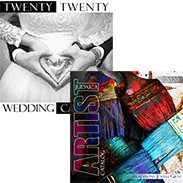 Traditions proudly represents over 30 Artists under multiple categories of gift ideas. Products range from handcrafted mezuzah, menorahs and jewelry. Many offer personalization which makes for a very intimate and special gift. While many items are stocked for immediate delivery, some are made to order by the artist and may take from 2 to 6 weeks for completion and delivery. 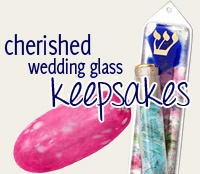 Many of our wedding glass artists offer unique Jewish wedding and anniversary gifts using the glass shards from the chuppah stomp. These pieces of glass can be made or intigrated with pieces such as a mezuzah or menorah or transformed into a glass paperweight or vase. Custom glass work may take up to 6 months for completion based on the workload of the artist. Our featured artists are those who have shown consistent and exceptional talent and whose works are requested time and again. Many of these artists are leaders in their medium and who we have been working with for many years, which guarantees your complete satisfaction.